Visit https://rodsandrobots.com for details and registration form for car entries. 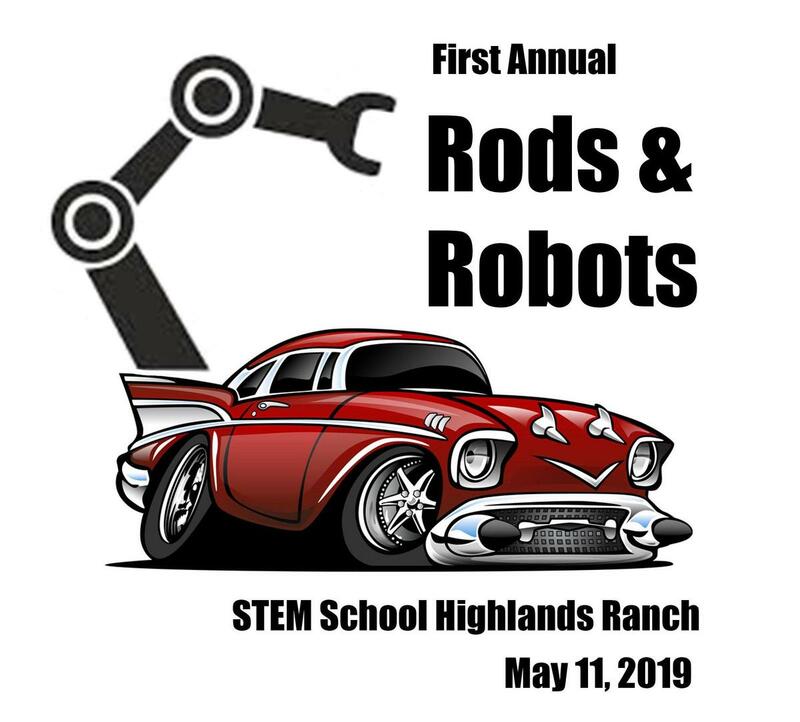 We would like to invite you to be a part of the first annual “Rods & Robots” show on Saturday, May 11, 2019 from 9 am – 1:30 pm at STEM School Highlands Ranch. This is a fundraiser for the robotics teams and programs at the school. Visit https://rodsandrobots.com for details and registration form for car entries. 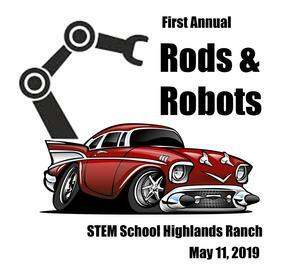 We would like to invite you to be a part of the first annual “Rods & Robots” show on Saturday, May 11, 2019 from 9 am – 1:30 pm. The goal for this show is to raise $20,000 for the robotics teams and programs at STEM School Highlands Ranch. This inaugural event will be held at STEM School Highlands Ranch, located at 8773 S Ridgeline Blvd, Highlands Ranch, CO 80129. The large paved parking lot and nearby facilities will provide a great display area for cars, vendors and visitors. Our car show includes categories for best Hot Rod, Classic, Rat Rod, Lifted 4x4, and Low Rider. Winners will be selected by people’s choice voting. The cost to enter is $20 per vehicle (includes 2 free admissions). Spectator entry fee is $5 per person. We will start admitting cars at 8:00am, Saturday May 11th. Cars can enter at 8:00am. Show begins at 9:00am, awards are at 1:00pm, driving away at 1:30, no burnouts please.